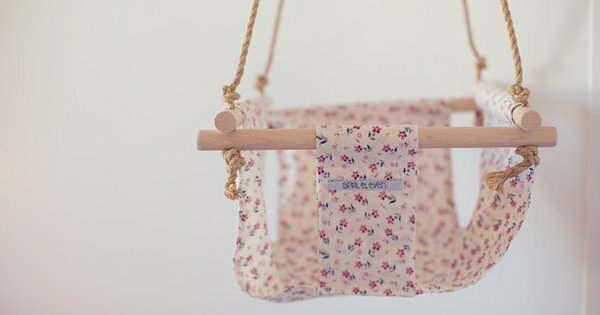 A warm gentle breeze, a sunny day and bare dangling legs blissfully kicking in one of these pretty French Little Flow fabric swings sounds très magnifique, oui? 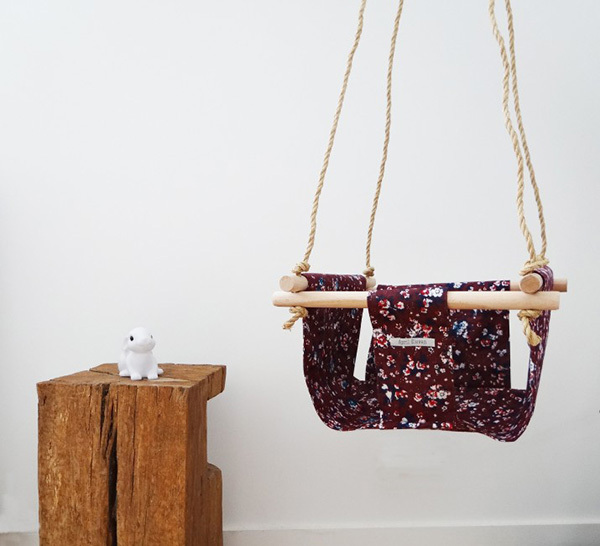 Little Flow swings are carefully made using a sturdy wooden frame and show off the most beautiful Liberty and print fabrics. Little Flow swings include strong rope to suspend your swing from a tree branch or indoor beam or bracket and all seams and fabrics are lined for extra support and durability. Little Flow swings can hold up to 14 kilograms of weight, though due to the nature of this particular design, we advise that parents stay within arm’s reach. Nevertheless, we’re sure you’ll agree it’s a beautiful soft swing we’re sure young children will love to gently sway in! Little Flow swings are priced €69 and available from April Eleven.